Rory Sagner’s works continue to be recognized to a broad audience! “This is the locally shot photo National Geographic selected for Your Shot last month, showing Absolute Health Clinic’s Lorena Bensching lying down in the Blu Room. Photographer Rory Sagner of Yelm responded to a call for submissions on ‘everyday science. '” Photo credit: Rory Sagner Photography & Fine Art, ©2018 for Absolute Health. “Yelm, Wash.-based photographer Rory Sagner entered what’s called the Blu Room at Absolute Health Clinic in West Olympia, hoping to address back troubles. 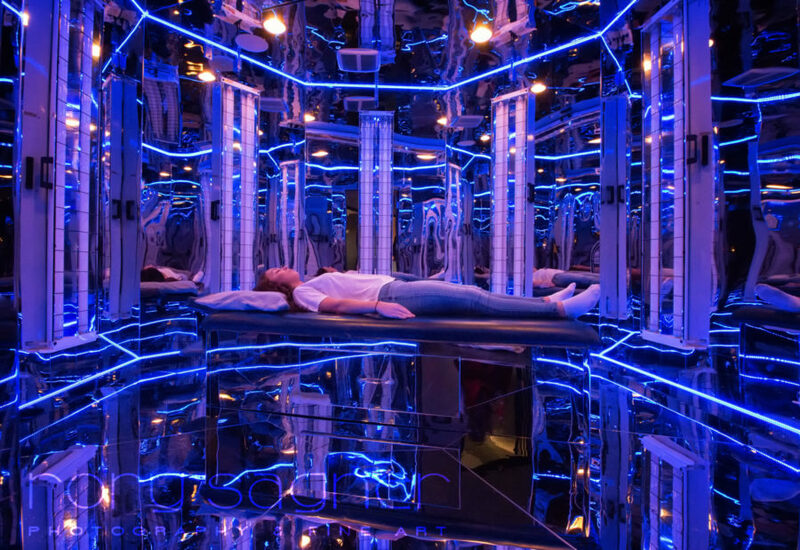 “The room includes mirrored walls and uses ultraviolet light while a patient lies down to enter a state of deep relaxation. “Its proponents say the technique accelerates healing in the body and reduced perception of pain,” by Lynsi Burton, SeattlePI.